Ryanodine receptors (RyRs) are the Ca2+ release channels in the sarcoplasmic reticulum in striated muscle which play an important role in excitation-contraction coupling and cardiac pacemaking. Single channel recordings have revealed a wealth of information about ligand regulation of RyRs from mammalian skeletal and cardiac muscle (RyR1 and RyR2, respectively). RyR subunit has a Ca2+ activation site located in the luminal and cytoplasmic domains of the RyR. These sites synergistically feed into a common gating mechanism for channel activation by luminal and cytoplasmic Ca2+. RyRs also possess two inhibitory sites in their cytoplasmic domains with Ca2+ affinities of the order of 1 μM and 1 mM. Magnesium competes with Ca2+ at these sites to inhibit RyRs and this plays an important role in modulating their Ca2+-dependent activity in muscle. This review focuses on how these sites lead to RyR modulation by Ca2+ and Mg2+ and how these mechanisms control Ca2+ release in excitation-contraction coupling and cardiac pacemaking. 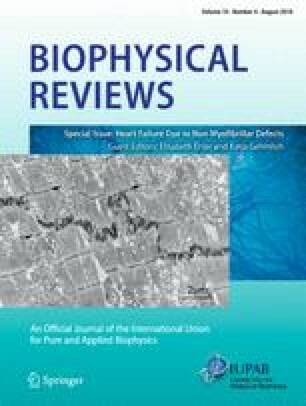 This article is part of a Special Issue on ‘Heart Failure Due to Non-Myofibrillar Defects’ edited by Elisabeth Ehler and Katja Gehmlich. Thanks to Dirk van Helden for suggesting the ‘Tipping Urn’ analogy in Fig. 2 and to Oliver Clarke for locating amino acids on the RyR1 structure in Fig. 1. This work was supported by an infrastructure grant from NSW Health through Hunter Medical Research Institute. Derek R. Laver declares that he has no conflict of interest.